This year we are celebrating the 100th anniversary of restoration of independence by Poland, the Wielkopolska uprising and inception of the Republic of Ostrow. The Republic of Ostrow (November 10th-26th, 1918) was a short-lived autonomous political entity created on November 10th, 1918. It happened one month before the Wielkopolska uprising, which was aimed at freeing from Prussian authorities. Thus, Ostrowians preceded the independence tendencies throughout Wielkopolska region. It led to many concessions to Poles living in the city of Ostrow Wielkopolski and the Ostrow county. Those events are mentioned in the TV series “Republic of Ostrow” as well as feature film (1988) “Republic of Hope”, in which scripts were written by the honorary citizen of Ostrow Wielkopolski Kazimierz Radowicz. To commemorate those events, the feast of the city of Ostrow Wielkopolski is celebrated on 10th November. 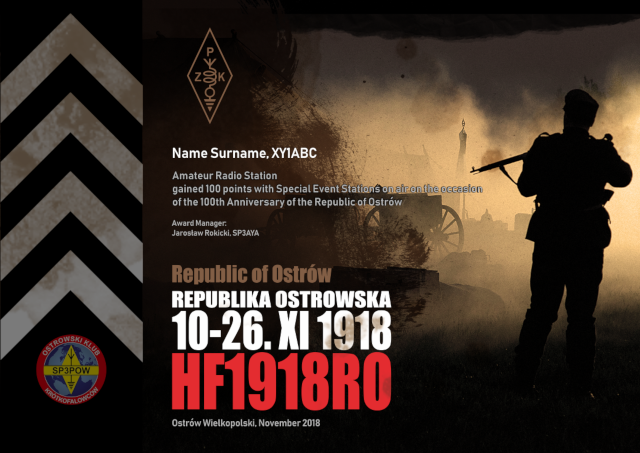 Awards are issued for achievement of 100 points - 100th Anniversary of the Republic of Ostrow. 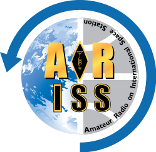 - all information can be found on sp3pow.pl and www.qrz.com/db/hf1918ro, log of the event station will be sent to LoTW and eQSL.